An interior renovation on two floors has much improved the use of space in this mid-century modern home. While the upstairs is greatly enhanced, the lower level has been truly transformed. Completely reconfigured, a collection of rooms that were either too large or too small are now useful and beautiful. The old configuration had a laundry that was too large, a very large, rumpus room that opened onto a second kitchen, both of no use to the owners, a small split bath and a couple of tiny, cold rooms. The new layout takes the logical form of a home, with rooms opening off of a central hallway. And now all of the rooms are a proper size. The split bathroom arrangement has been maintained but with the second kitchen removed, both areas are now spacious and luxurious. 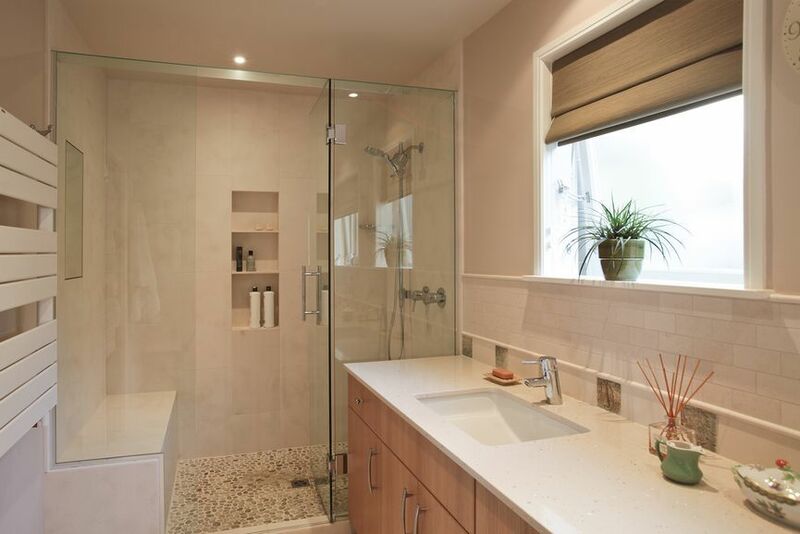 The master bathroom is truly spa-like, with double sinks, masses of benchtop and storage space, and a large walk in shower. The mirrors are all fog-free, including the large shaving mirror inside the shower. 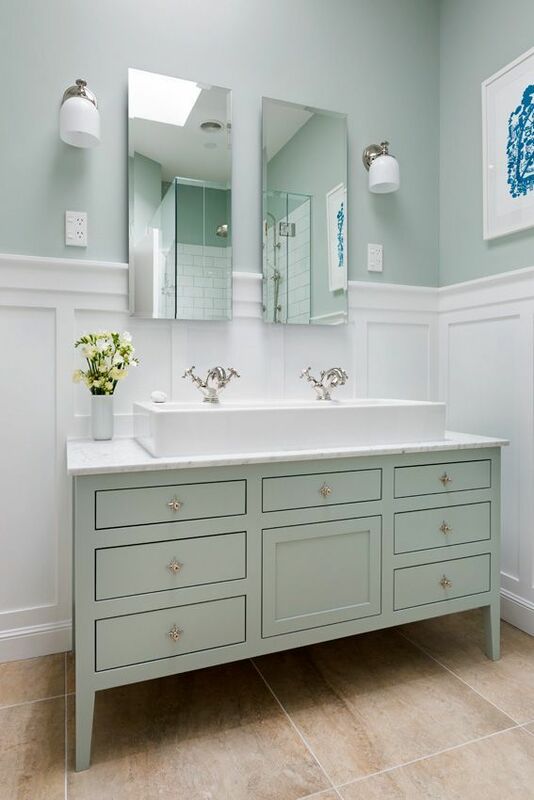 The tile floors are heated, the makeup mirror lights up and there is a deep, custom mirror cabinet recessed into the wall. The powder room is an experience with it’s unique wallpaper while the black marble tiles are shot through with white strips, like lighting in the forest. The adjoining laundry, with hidden appliances, is inviting and cheerful, where in summer the back door opens onto a lovely courtyard garden.